Katie Trethewey is an English soprano specialising in the performance of Baroque and Classical opera and oratorio. A music graduate of Birmingham University, she gained a post-graduate Distinction in singing from Birmingham Conservatoire and has since appeared as a soloist at high-profile UK venues including London's Wigmore Hall, Cadogan Hall and St John's Smith Square, Symphony Hall in Birmingham and King's College, Cambridge. In October 2016 Katie made her debut as a soloist at the Royal Albert Hall in London, singing for Sadler’s Wells ballet and Carlos Acosta’s ‘A Classical Farewell’ Tour, receiving great acclamation from the many reviewers for her performances of Fauré’s ‘Pie Jesu’ from Requiem and Poulenc’s ‘Domine Deus’ from Gloria. Described as ‘sensational’ in a review in Gramophone Magazine (November 2015) of her aria on Ex Cathedra’s Brazilian Adventures disc, she has also received great critical acclaim for many concert performances, most recently Bach’s Matthew Passion with Ex Cathedra at Birmingham Symphony Hall and Orff’s Carmina Burana for Birmingham Royal Ballet at Birmingham Hippodrome. She has received solo engagements for the Three Choirs Festival, the Roman River Festival and Brighton's Early Music Festival and is increasingly in demand on the continent, recently appearing at the Händelfestspiele in Halle, Germany, performing William Boyce's Solomon with the Orchestra of the Age of Enlightenment. 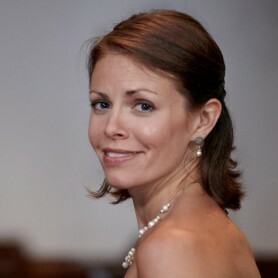 Katie’s Baroque oratorio repertoire includes Bach’s St Matthew and St John Passions and Mass in B minor, Purcell’s Dido and Aeneas (Belinda), Handel’s Semele (title role), Jephtha (Iphis), Solomon, (Queen of Sheba), Joshua (Achsah), Saul (Merab), and Carissimi’s Jephte (Filia). Classical oratorio repertoire includes Mozart’s Requiem, Vesperae Solonnes de Confessore, Vesperae de Dominica and Mass in C minor, and Haydn’s Creation and Nelson Mass. In opera Katie performs the roles of Pamina (Die Zauberflöte, Mozart), Donna Anna (Don Giovanni, Mozart), Diana (Cavalli's La Calisto), Gretel (Humperdinck's Hansel and Gretel) and Miss Wordsworth (Albert Herring, Britten). An impressive discography comprises numerous recordings with celebrated vocal ensembles Ex Cathedra, The Cardinall’s Musick, Dunedin Consort, Ensemble Plus Ultra, the Gabrieli Consort, The Tallis Scholars and Tenebrae. Katie is a featured soloist on Ensemble Plus Ultra’s Grammy-award-winning discs of Victoria’s sacred works and on A Tender Light, Tenebrae’s critically-acclaimed CD of works by Paul Mealor. Solo work this season includes Purcell’s Dido and Aeneas (Dido) for Ex Cathedra, a tour of Handel’s Messiah in the USA, Bach’s Magnificat and Wachet auf! at Lincoln Cathedral, Bach’s B minor Mass at Birmingham’s Town Hall, and several performances of ‘Galileo’ – a music drama exploring the life of Galileo Galilei with the Monteverdi String Band at Brighton Early Music Festival. "Notable solo passages from soprano Katie Trethewey, bright toned and resonant"
"…the recitative of Katie Trethewey changed the mood…[her] subsequent aria Jesu, Saviour, I am yours was pledged with sincerity, her bright soprano providing a vivid contrast against the pulsating bassoon…"